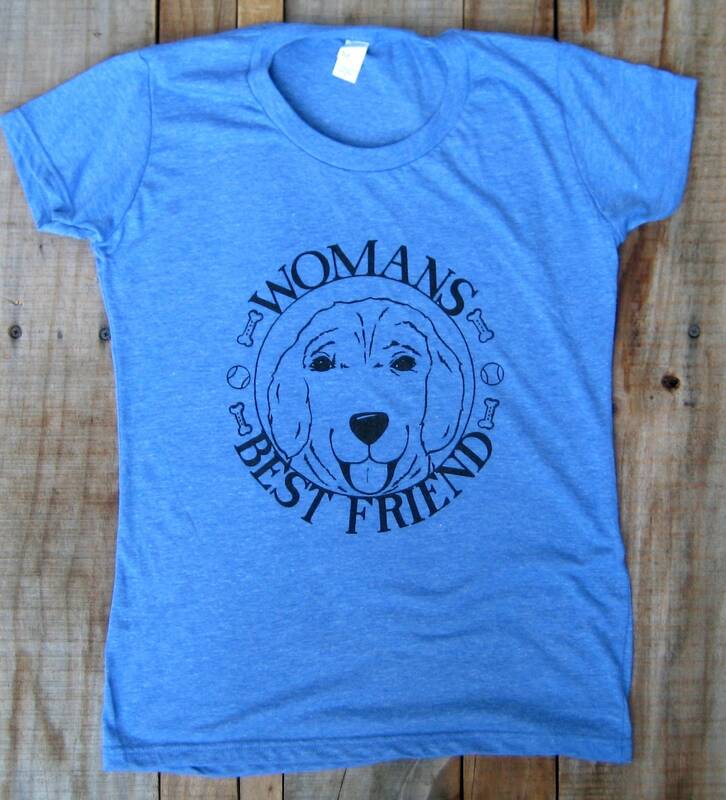 Womens Best Friend original illustration printed on soft tri blend tee. 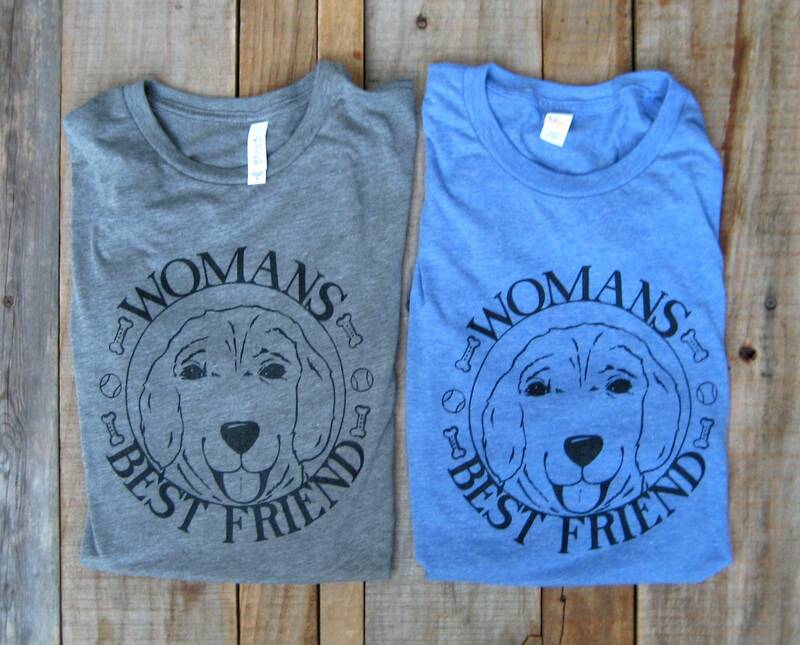 Women's fit, on the slim side but lightweight and stretchy, in grey and blue. 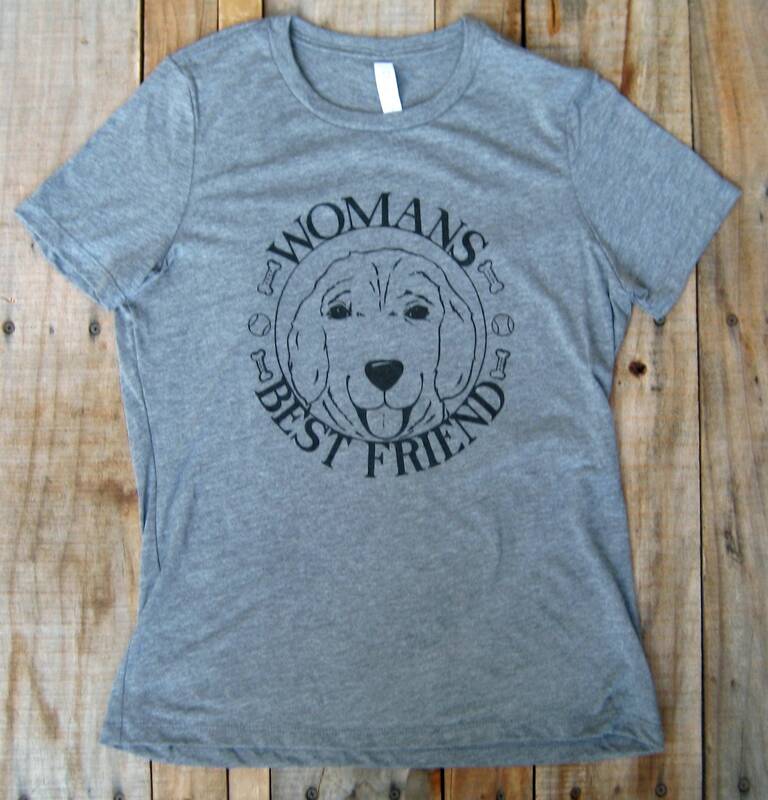 Also available in grey is a more relaxed fit, not as slim as previous. Measure next to a tee you have to be sure. 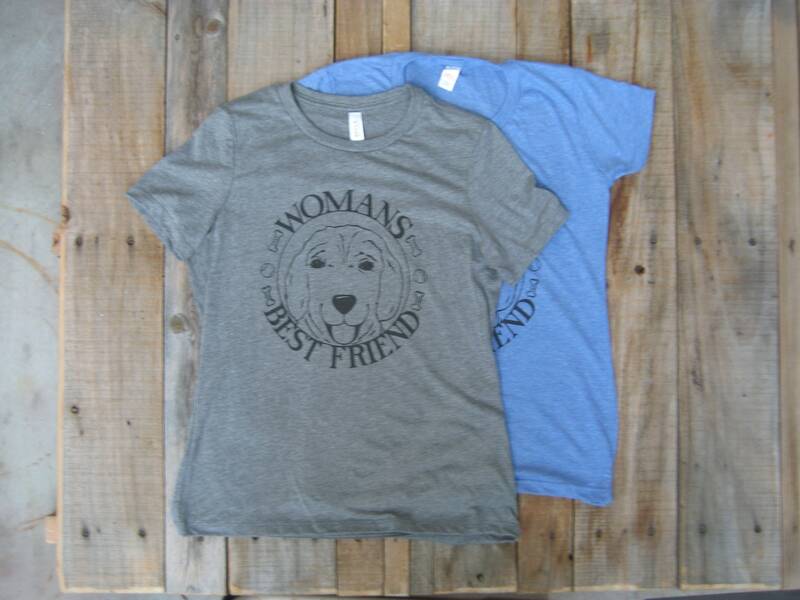 Measurements across chest, tee flat ~ Regular slim fit women's tee (blue and grey) - S- 16.5", M-17.5", L-18.5", XL- 19.5"
Relaxed fit women's tee( grey only) - S-18", M-20", L-22", XL-24"